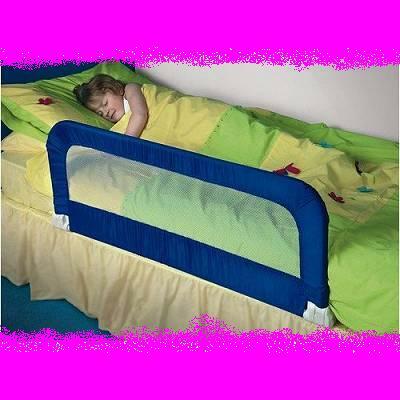 Buy Safety Rails for Buildings,Safety Rail for kids beds,Safety Rails for Bathrooms,Safety Rail for toddler beds and various Half Price Beds and Furniture direct from us at BCS Importers,Manufacturers and National Suppliers to the Furniture Stores. Our Smooth Finish Wooden Patented Bed Safety Rail as above Now R370 each (Short Rail) and Long Rail at R470 each Save over R400 (available in white and mahogany, call immediately our showroom to reserve your safety rails in order to avoid dissapointment) ! These “MUST HAVE” safety rails, above and below reduces the risks that your precious daughter or son rolls off his / her bed. Children and Baby’s safety is the first priority to all parents! Buy our Imported Patented Fabric and Epoxy coated steel safety rails Now at R350 Save over R300 (arriving in 2 weeks,call now to reserve your safety rail). 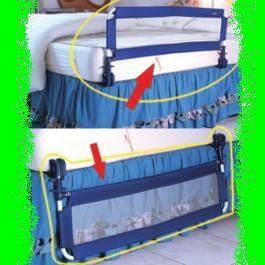 Please Note: Both these safety rails fits most beds, slips under the mattress and folds flat for easy storage. Our Safety rails for bathrooms and buildings will be arriving in the next 6 weeks.Please call our showroom to reserve your rails. Safety Rails for Bathrooms: Arriving soon ! Safety Rail for Buildings: Arriving soon ! We delivery to all provinces in South Africa and neighbouring countries,view our contact details on our home web page. All friends and family must know of this HALF PRICE beds and furniture sale direct to the Public! Trade and Bulk discounts available!